We’ve been driving through the thick fog for more than an hour through the high mountains of Hidalgo. I have been invited to preach in a small church, and Bro. Javier Gonzalez is with me, along with his young son, Pablo. My iPhone has long-time-ago lost cellphone signal, but the GPS part of it still works, and it shows that the village in the mountains is 30 minutes away. 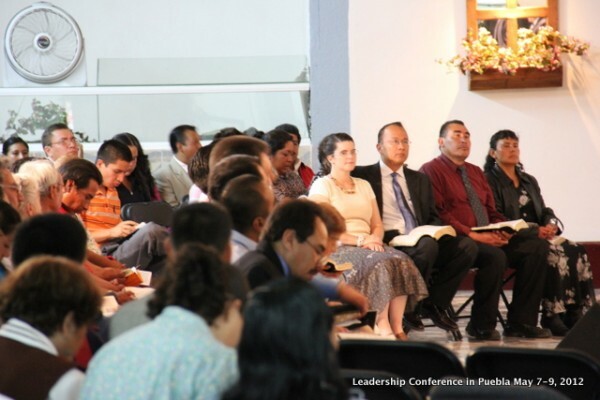 When we arrive, there is a small gathering of faithful people, waiting to be preached at. It’s about 33 degrees, with no heaters, but that doesn’t matter, they are used to this weather. Who would have imagined that there would be an Independent Baptist Church like this in the mountains, but Bro. 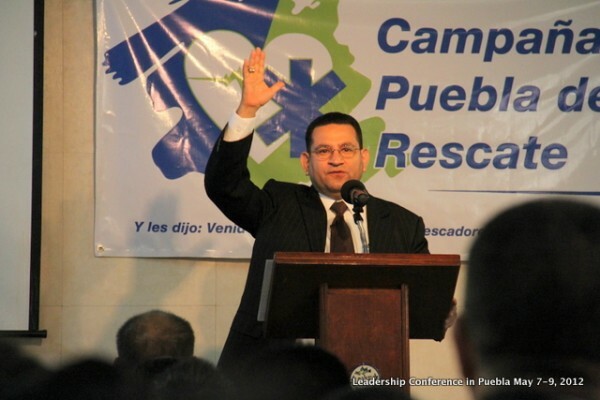 Daniel Munoz is a man, called by God, to bring the Gospel to these dear people. Church in Calnali, Hidalgo. Bro. 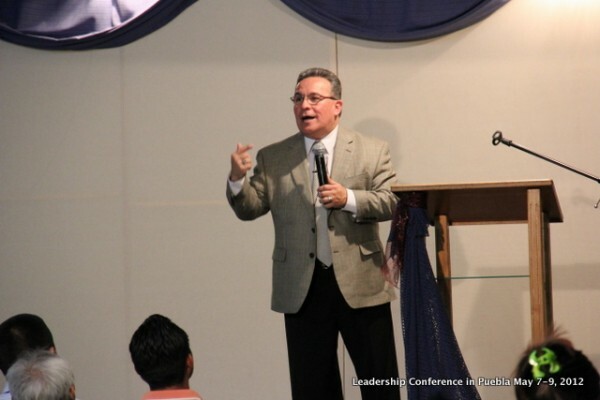 Daniel Munoz is the Pastor. He tells me that in 2008, he was very much discouraged. He drove to the next big town, Huejutla, which is about one hour away. There, on an internet cafe, he searched for something that would comfort his heart with preaching. 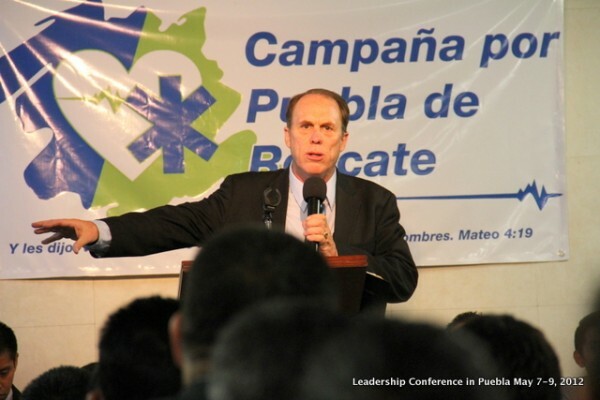 He found our website: http://www.iglesiacristianabautista.com/predicaciones/ were we have hundreds of sermons. He downloaded them all and listened to them. He was quickly encouraged and went back to his church. He had been a Pastor of a church that belong to the Baptist Convention. He started to go soulwinning every day! They changed their standards! And they quit the Baptist Convention few months later. The church that once was running 20, now runs 200. And they have four mission-churches that they have started in the last five years, with and average of 70 in each one of them. They are starting one more mission-church this coming Thursday! Church in Tlalchiyahualica. Bro. Javier giving his testimony. Pastor Geronimo is sitting down. I had the privilege to preach for Bro. 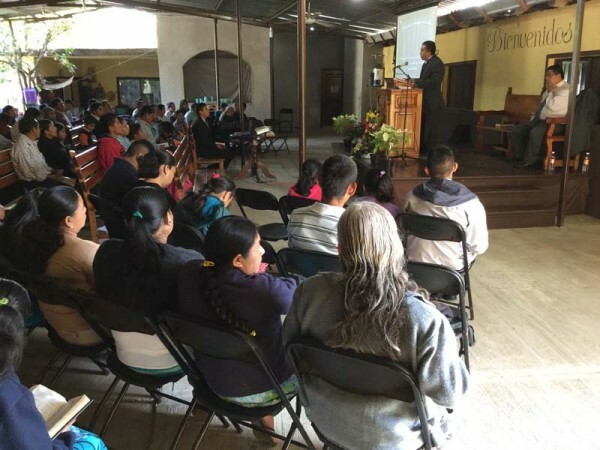 Geronimo, in his church twice on Friday night, twice on Saturday night, twice on Sunday morning, and once on Sunday night in Huejutla, where they now have a mission-church. Huejutla is the big town where Bro. Geronimo downloaded the MP3 preaching in his phone to listen to. On Saturday morning, I had the privilege to lead two to the Lord. His name is Andres, and his wife’s name is Sulpicia. I talked to them for about 45 minutes. They listened attentively, and at the end, the asked Jesus to come to their hearts. Pray for them, if you will. They said that they would attend the church that Bro. Geromino started there in Huejutla. Andres and his wife were saved! We drove back to Puebla all day Monday. Praise the Lord we made it safe and with no complications. 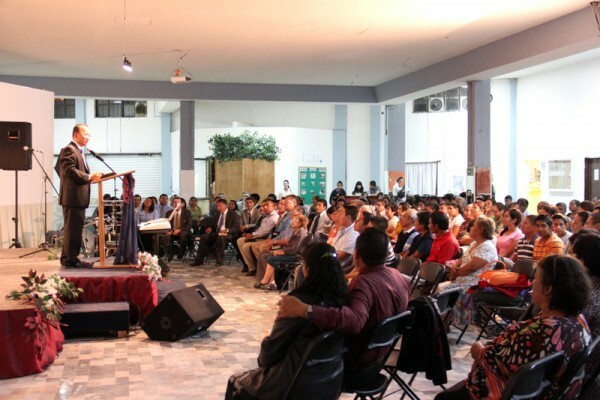 Praise the Lord that God is not only using us here in Puebla, but through our online ministry, where in the last four years, we have had over 1 million visitors downloading thousands of sermons in Spanish. This last week was a week of victories and triumphs in Christ. 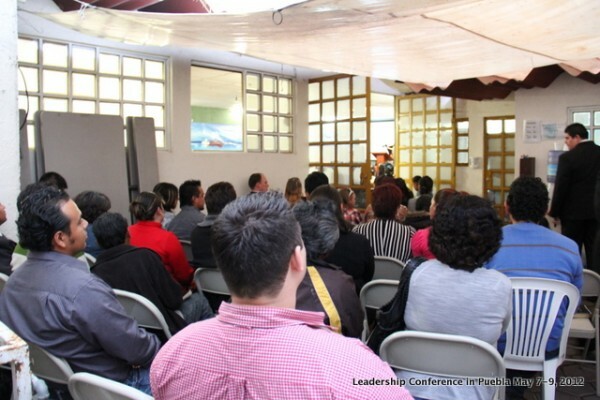 We held our annual Leadership Conference here in our church in Puebla. 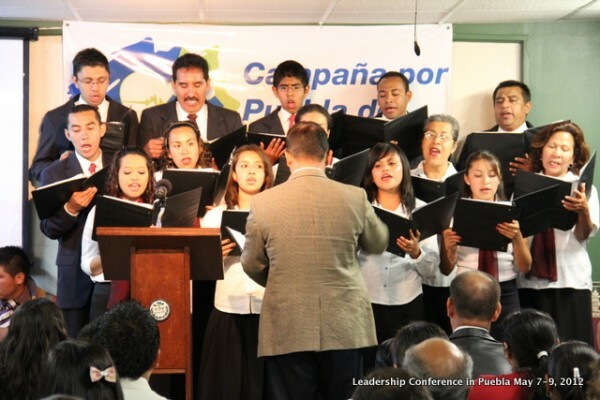 We do the conference in the month of May in acknowledgment of the Battle of Puebla here in our city. This time we had four great preachers: Pastor Luis Ramos from San Luis Potosí; Pastor Luis Parada from Long Beach, CA; Pastor Ezequiel Salazar from Ontario, CA and Pastor Kevin Wynne from Mexico City. 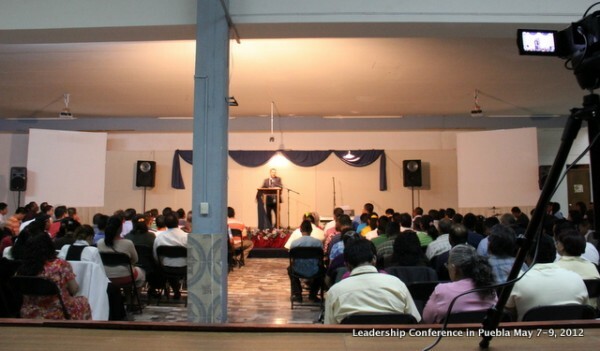 Our first night we had 18 Pastors visiting from different cities and states and we also had 280 people in attendance. 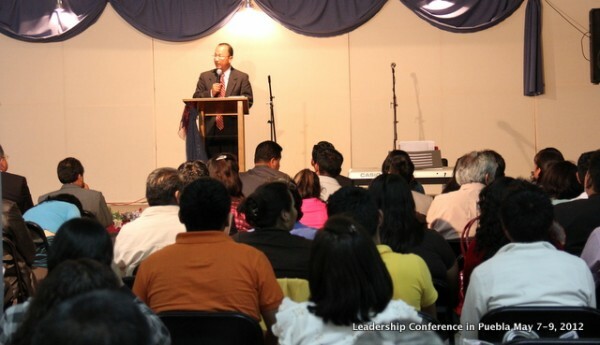 Our second night (Tuesday night) we had 350 people in attendance and 23 Pastors visiting from 8 different states. We had to rent a church building close to our church in order to fit the people. Our little auditorium only seats 100 people. 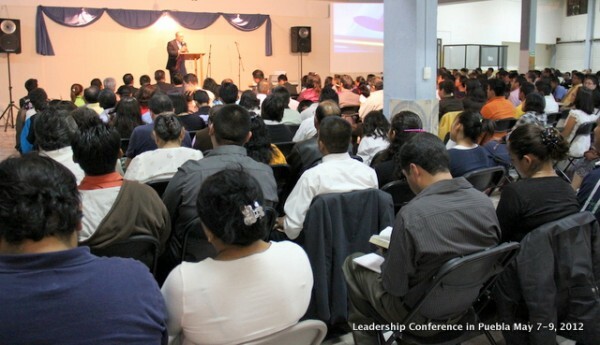 Wednesday night, which was our last night of the conference, we had over 200 people in our church. 100 in and 50 in the patio, plus many kids in the nursery and classrooms. We had 14 people that surrendered to serve God full-time. Praise the Lord, seven of those were from our church. Tuesday morning and Wednesday morning we also had preachings until 2:00 pm. In total we had 21 sermons and teachings. If any of you are interested to get a copy of these, let me know. They are all in Spanish. Thank you for your prayers for the conference. We ended the conference very tired, but happy to serve a wonderful God. Today in church we had 140 people in attendance, 3 first time visitors and 1 baptism. Overflow outside our auditorium - we need more space! This last Monday and Tuesday we had the opportunity to go to the State Fair to give out Gospel tracts. And although we did not give out as many tracts as we were hope for, we had the opportunity to talk to people and invite them to church. On Tuesday I was able to give tracts to about 200 Catholics at once! They all came down from 5 buses that parked right were I was standing. Each bus had 3 or 4 nuns that were in charge of their groups. I thought for sure that they were going to get mad because I was giving the tracts to their people, but also, I think they probably thought that I was welcoming them to the fair with the tracts. They all came from Oaxaca to the Puebla Fair and all took the tracts and many were reading them! One man specially was sitting down on the side walk behind one of the buses and apparently ready all the tract. Then I sat down with them and asked him what he thought about it. We talked for a while, and although he did not make any decision to accept Christ, he was very open to hear what I had to say. Please pray for this tracts and for this man that they will soon get saved. On Wednesday, my wife, baby Caitlyn and I had the opportunity to go Dallas, TX for a quick visit. We attended the Family Conference held by the Spanish Church at Trinity Baptist Church, in Arlington, TX. Bro. 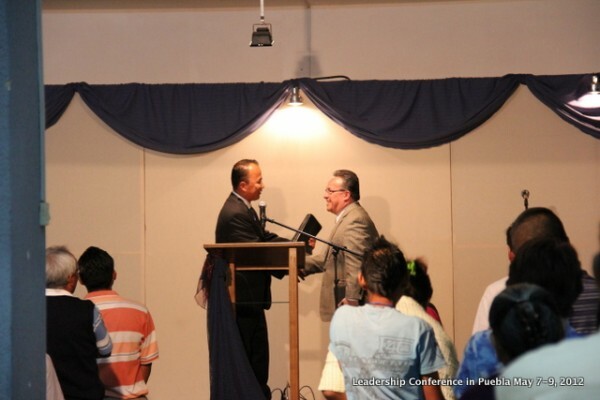 Ricky Gonzalez is the pastor of this church and he is doing a tremendous work. Bro. 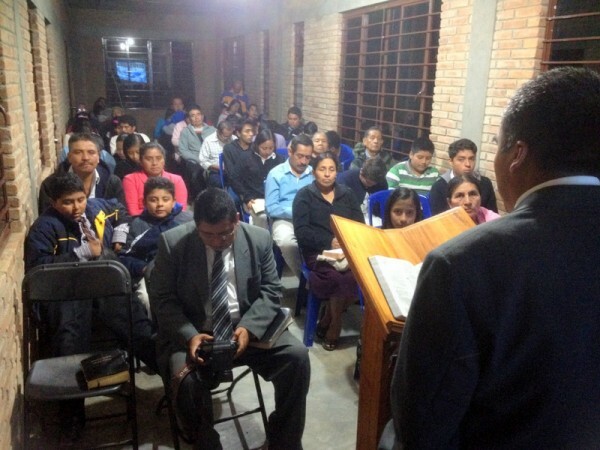 Ezequiel Salazar preached two times on Wednesday night. The first preaching was to all the church and the second preaching was a class for the man and husbands. To say the least, it was an awesome class! He said that the reason our wives are not submissive to their husbands is because we are not the spiritual leaders that we ought to be. He also said that our wives need to know that we love them. Anyway, this is an update, not a sermon, right? The conference ended at 11:oo pm! I was tired, but I enjoyed seeing and hearing Bro. Salazar. His wife Miriam was also there. She thought a class for the ladies, and my wife said it was very good. She is already practicing some of the things she heard! — Gracias Hna. Miriam! Saturday night we had the privilege to see my good friend, Bro. Mike Patterson. I believe I met Bro. Patterson for the first time when I was 14 years old. 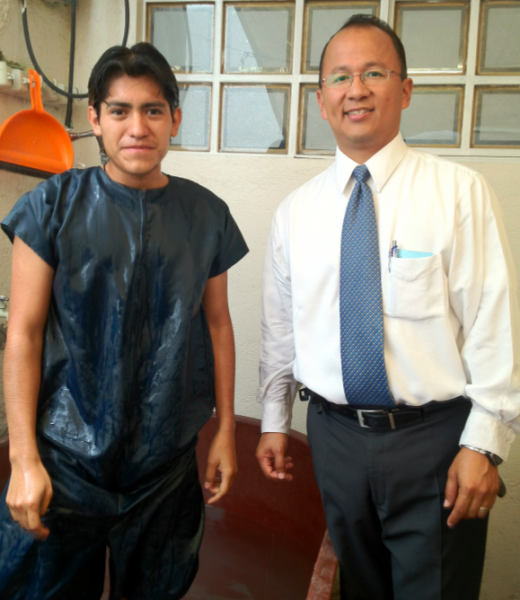 He pastored Mount Abarim Baptist Church in Cuernavaca, Morelos for 12 years. 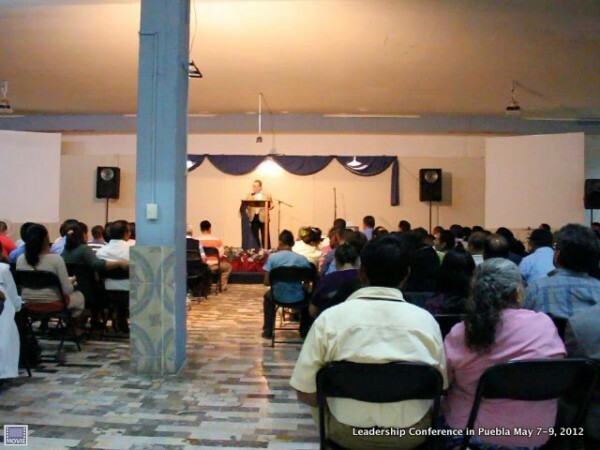 During his time in Mexico, Christians in Mexico learned to love him. 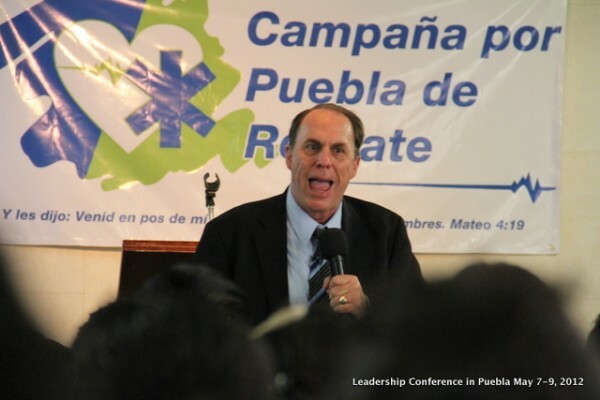 He left, I believe, in 1996 to take over the ministry in Arlington of Mount Abarim Baptist Mission International. Anyway, I surrendered to preach on July 24, 1992, under the preaching of Bro. Mike Patterson. I love him and miss him… so, we visited him and his dear wife. We had a good time at one of our favorite restaurants, Cracker Barrel. 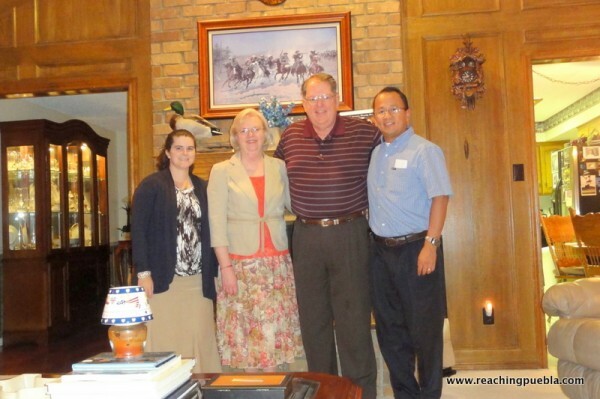 The following morning we visited his home church which is Worth Baptist Church of Arlington, TX. We had a good time and the sermon by Pastor Weaver was encouraging and challenging! During the time we were gone, Bro. Abraham preached a good sermon in our church. 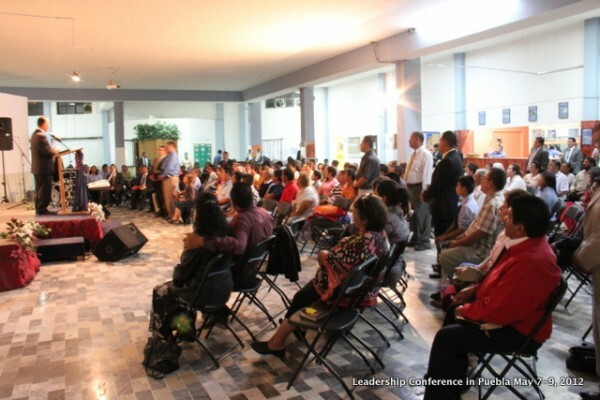 Our church was packed here in Puebla. They say that they had 8 extra chairs outside the auditorium! Praise the Lord. 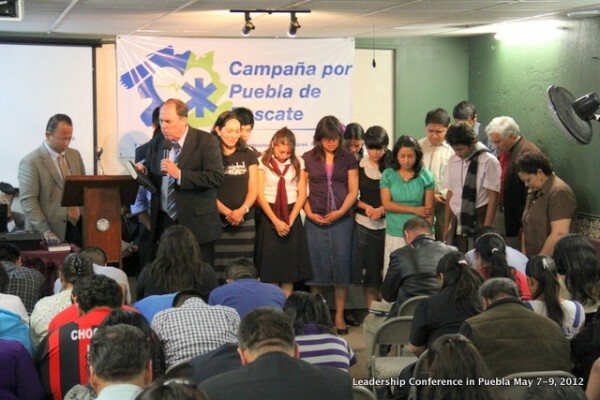 Please pray for this Saturday, as we are having an special meeting at one of our new missions. I shall explain why is a new mission: Two weeks ago we celebrated our “Dia del Niño” which is a big day celebration for all the children in Mexico. 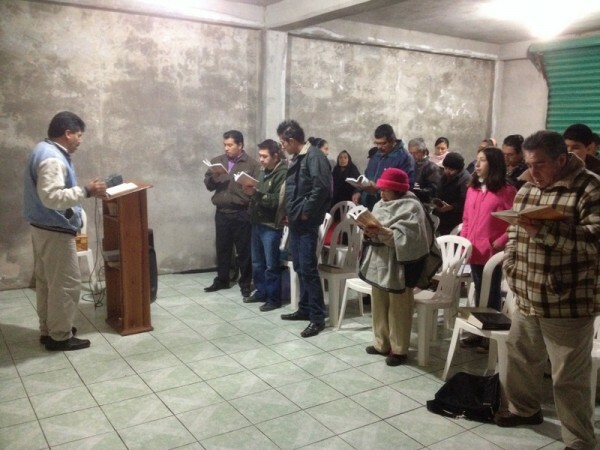 A lady in our church brought 27 kids and 11 adults… from a far away suburb south of Puebla. They all wanted someone to go and teach them more about the Bible on Wednesday nights! So, I asked Erick, a graduate from Bro. 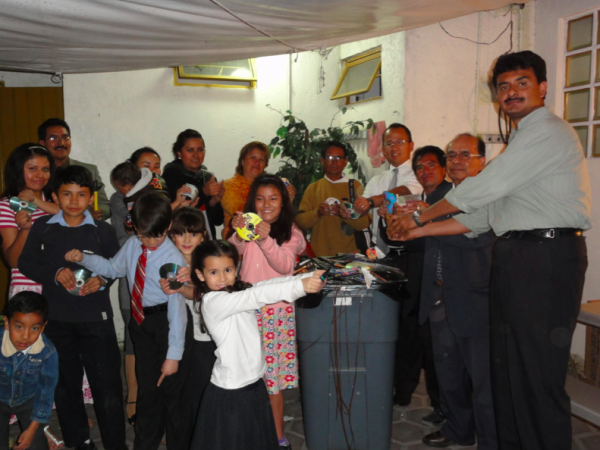 Luis Ramos Bible Institute in San Luis Potosi, to help and teach them and preach to them. They are all excited about this new mission and we are going to have a big day this Saturday. We are expecting over 100 people to come from this poor area of the city. Please pray that I might preach the Simple Plan of Salvation to them and see many of them get saved. On other good news: As we were gone, not only we had a good attendance in our church, but a man in our church called me to let me know that he wanted to give $2,500 dollars towards the church building expansion! Praise the Lord for this also! We only have room in our church auditorium for 120 adults, and we need more room. We are praying to expand our auditorium this year. If you are willing to help in any way towards this purpose, please let me know. Thank you and God bless you! Bon Fire At Our Church – Burning Our Sins! Today we had an exciting evening. We had a bon fire at our church after our evening church service. It all started with my wife Nicole teaching our Sunday School teenage girls two weeks ago. She mentioned that we needed to get rid of our worldly possessions and let God use them more effectively. I also preached for the last two weeks about leaving the worldly things and follow Jesus completely. It all started to build up and today we decided to to a bon fire at the church. Since we don’t have a lot of space for an actual bon fire, we also brought small wooden sticks and burn them at the outside patio that we have in our church grounds. Everyone wrote the sin that wanted to leave on the piece of wood and we made a small fire. A lot of our young people brought their music CDs, movies, cassette tapes, and some clothes that were immodest. (I did not see what kind of clothes were inside some of the bags, but I am pretty sure they were immodest.) Instead of burning the CDs, we destroyed them with our own hands and threw them in the trash. We had two big trash bags full of all of the the things that our church people brought. It was a fun evening and I think we are going to do this once a year. In the morning we had a good church service with lots of people in attendance. We had close to 140 people in church. Bro. Alejandro Ruiz who is my assistant and brother-in-law preached a good sermon during Sunday School. He said that he prayed for a teaching and God gave him a sermon instead. 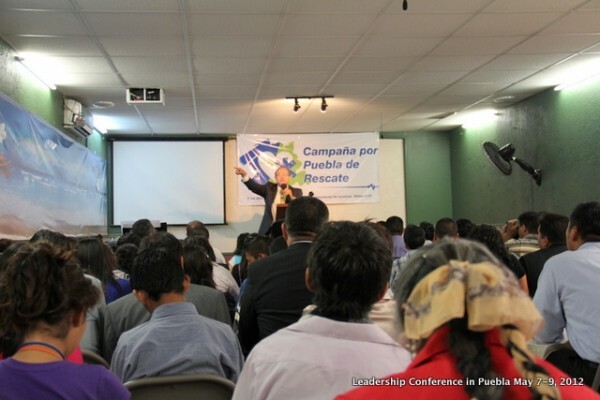 He preached about Living The Best You Can For God Today – in Spanish. It was a good message. If any of you would like a copy in Spanish let me know and I will send you one via email. In the evening, besides having our bon-fire, we also had Bro. 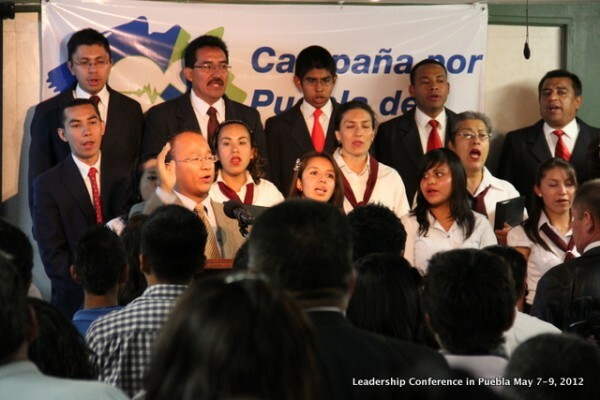 Fidel Silva Pablo missionary to Bolivia present his ministry and preach to us. If any of you are looking to support a missionary in Bolivia, he would be a good choice. He went to Bolivia 10 years ago with $400 dollars-a-month-support. He is doing a good job there. 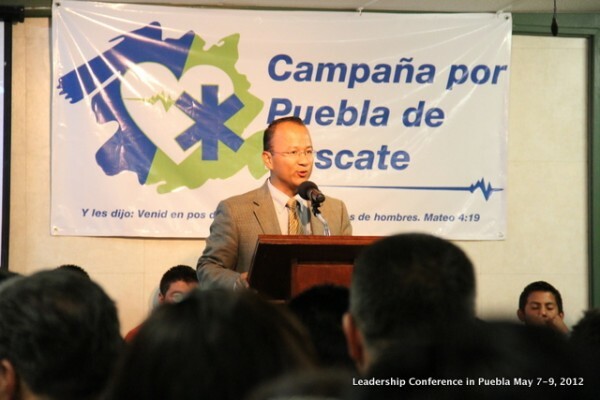 He is a soulwinner and is doing a tremendous work in Cochabamba, Bolivia. 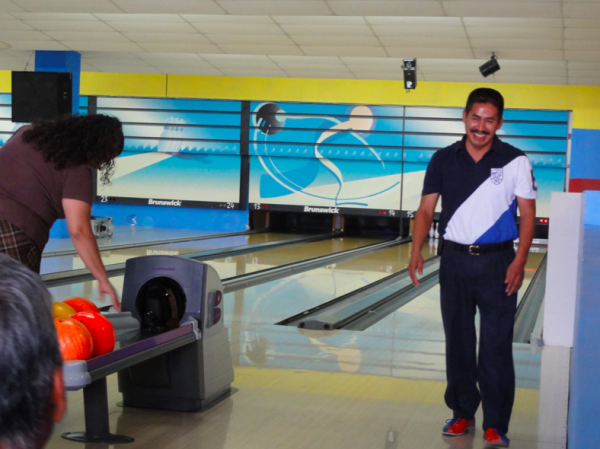 Saturday we had a married-couples bowling here in Puebla. We had two couples that had never bowled before. It was fun to see them play and have fun. One of them, Bro. Silvio and his wife, had been coming to our church for a little over a month now. His wife found us online and started to listen to the preaching of our church online. She came to church and brought her husband a two weeks after. 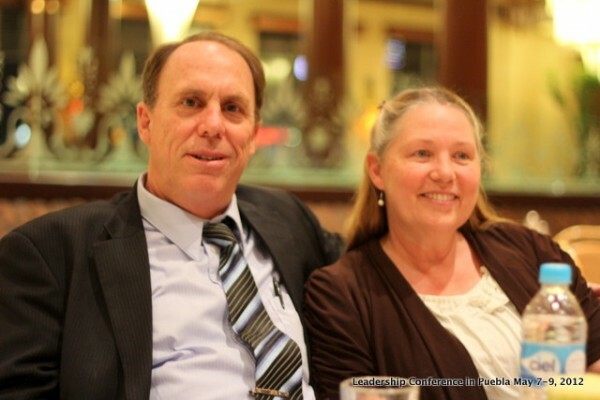 Her husband had never been in a Christian church and got saved! Now they are coming very faithful to our church services. Please pray for them as they grow in the Lord. And Bro. Silvio, ended up winning in bowling with a score of 107. Please pray for the nice of one of our church members. Her name is Aranza and she is having open-heart-surgery this Wednesday. She is a year and a half. This morning we had two first-time-visitors and one of them got saved! Our son Japheth turned 10 last Monday! and this coming May we are going to be here in Puebla for 10 years now! Wow, time just goes very fast. This reminds me that we need to double our effort to reach our city and country for Christ.